Gino Pinto - Winemaking equipment, winemaking supplies, wine grapes. The Winemakers’ Choice for over 50 years! South African & Chilean Grapes & Juice Coming Soon! 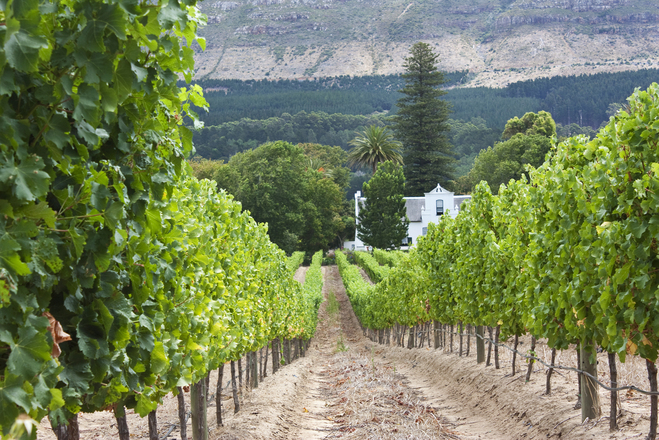 Our South African grapes are grown in the Western Cape region. Only an hour’s drive from Cape Town and surrounded on three sides by mountain ranges, the Breede River Valley is responsible for a large portion of South Africa’s total wine production. The Breede River Valley is a sheltered wine producing area in the Western Cape region. Surrounded on three sides by mountain ranges, this area is responsible for a large portion of South Africa’s total wine production. 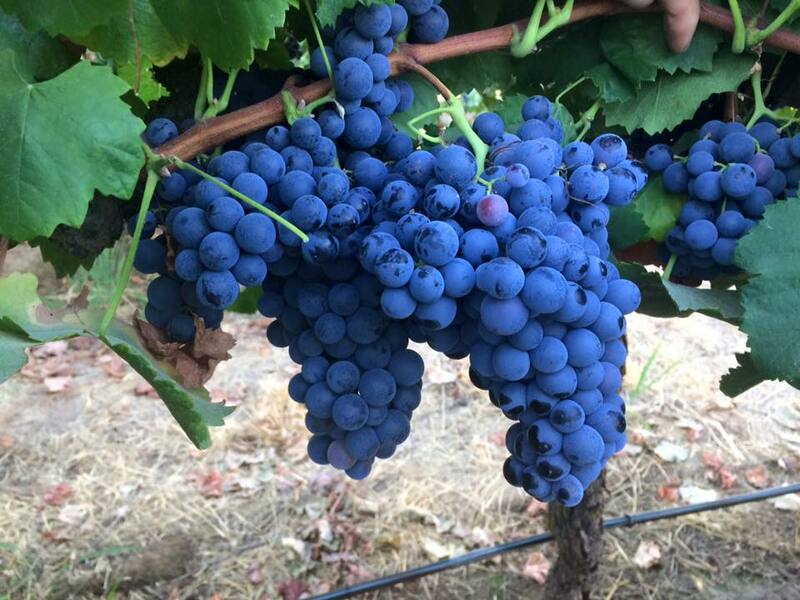 Its shaping up to be a beautiful Chilean grape season. Chilean grapes and juice are due to start arriving the end of April and throughout the month of May. 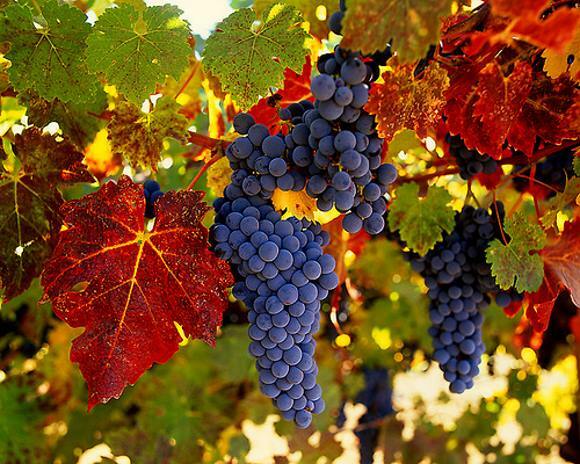 We are now sourcing high quality fresh wine grapes from the Curico Valley in Chile. 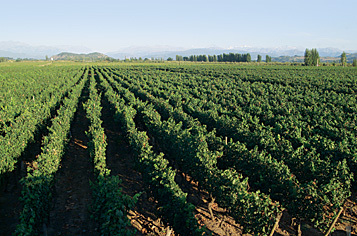 The Curico Valley is located 120 miles south of Santiago and is the oldest wine region in the country. The valley features a Mediterranean climate combined with alluvial soil with good drainage creating perfect conditions for great red wines. The origin of this wine-producing valley goes back to 1851, when fine varieties of grapes were brought to the valley from France and Germany. The winemakers’ choice for 50 years! WOW!!!!! Your best choice for premium wine grapes and juices from world-renowned growers in California, Chile, Italy, and South Africa. If it has to do with wine and winemaking…we offer it at extremely low prices! We help you make your best wine ever! 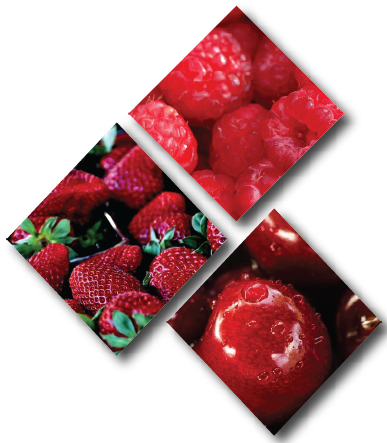 Each Spring and Fall, Gino Pinto offers Natural Select Fruit Juices. July-August for arrival in September. 100% Natural Juice 100% Natural Flavors Experiment with new flavors and unique blends—an ideal solution for wineries looking to expand their current offerings or limited-edition specialties. Call 609-561-8199 for special prices on: 57-gal drums and 264 & 1056 gallon totes. Calling all oenologists and vintners! Need Grapes or Juice for your project? 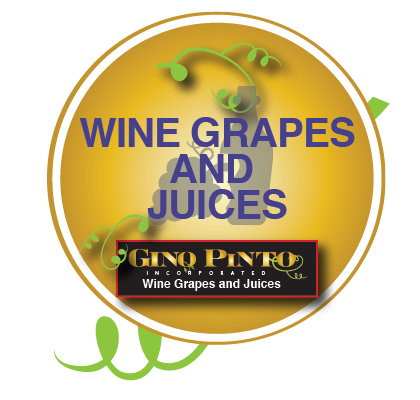 When it comes to winemaking equipment, winemaking supplies, wine grapes, wine juice, wine bottles, and other winemaking needs, Gino Pinto Inc. is the Winemaker’s Choice™. © 2017 Gino Pinto Inc. Please sign-up here for future Gino Pinto announcements!